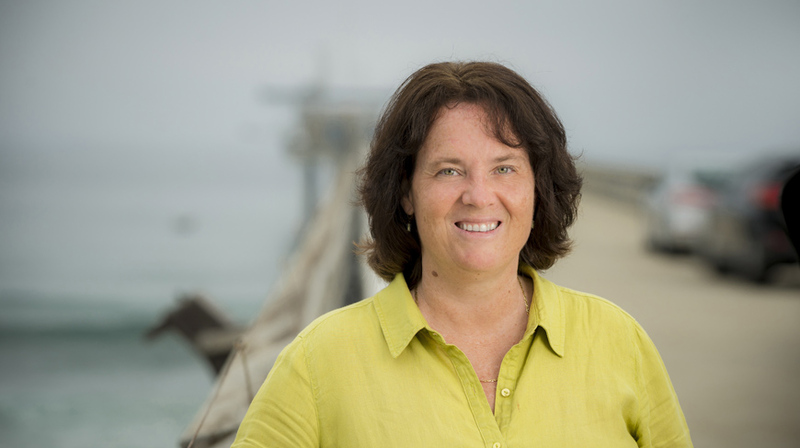 Prather, a distinguished professor who holds a joint appointment between UC San Diego’s Scripps Institution of Oceanography and the Department of Chemistry and Biochemistry, is one of 86 newly elected American members in the NAE cohort of 2019. Prather is the first woman at UC San Diego to get elected to the esteemed NAE. Prather joined the university in 2001 and has pioneered many aspects of the study of marine aerosols in the atmosphere, including the development and use of aerosol time-of-flight mass spectrometers that can analyze the chemical composition of single airborne particles in real time. She has used information about the sources of aerosols to understand how they influence cloud formation and precipitation and to understand the influence of pollution on climate. Using technology she developed in her lab in flights through clouds, her group was the first to show that dust and microbes traveling across the Pacific from as far away as Africa can enhance the amount of snowfall over the Sierra Nevada mountains in California. In 2010, a $20 million award from the National Science Foundation (NSF) created the Center for Aerosol Impacts on Chemistry of the Environment (CAICE) at UC San Diego under Prather’s leadership. Research in CAICE is helping to shed light on the chemical complexity of atmospheric aerosol particles. In 2018, the center received an additional $20 million from NSF to support research for the next five years. This makes CAICE the largest federally funded center in the history of UC San Diego. In its first eight years of existence, CAICE developed a novel laboratory facility where it has reproduced the physical, biological, and chemical complexity of the ocean-atmosphere system. The CAICE approach of bringing the real world ocean-atmosphere into the laboratory has enabled focused studies on one of the largest natural sources of aerosol particles. When waves break, salts and other other living material including viruses and bacteria are launched in the form of sea spray aerosols into the atmosphere. Prather and other scientists are interested in better understanding the role of these particles in controlling climate by forming clouds over oceans that cover nearly three-quarters of the earth’s surface. CAICE researchers are now able to reproduce realistic sea spray aerosols and study how their composition as well as those of marine gases emitted into the atmosphere evolve during phytoplankton blooms. Most recently, CAICE researchers determined for the first time how only certain microbes in the form of viruses and bacteria are selectively transferred from the ocean into the atmosphere. Prather also serves as co-principal investigator on a project to build the Scripps Ocean Atmosphere Research Simulator (SOARS)—a new state-of-the art wind-wave channel that will mimic the ocean with unprecedented accuracy, enabling scientists to explore how the introduction of pollutants by human activities are changing the chemistry of the ocean and atmosphere. Slated for initial operation in 2020, SOARS will be the only facility in the world capable of simulating future atmospheres with increasing pollution under different ocean conditions. A prolific scientist, Prather has authored over 200 articles in high level scientific journals. In November 2017, she was named as one of the world’s top 10 “Public Defenders” according to the Analytical Scientist, a print and digital magazine featuring professionals in the fields of analytical science. Prather is also the recipient of many other awards including the Haagen-Smit Clean Air Award, American Chemical Society Analytical Chemistry Arthur F. Findeis Award, the Kenneth Whitby Award, the National Science Foundation Special Creativity Award, and the Distinguished Scientist Award from the San Diego section of the American Chemical Society, among others. She is an elected fellow of the American Academy of Arts and Sciences, the American Association for the Advancement of Science, and the American Geophysical Union. Prather and other individuals in the newly elected NAE class will be formally inducted to the academy during its annual meeting in Washington, D.C., on Oct. 6, 2019. She joins Scripps researchers Dean Roemmich, John Orcutt, and William Kuperman as active members of the Academy. Deceased Scripps scientists who had been members include William Nierenberg, John Isaacs, and Fred Spiess.